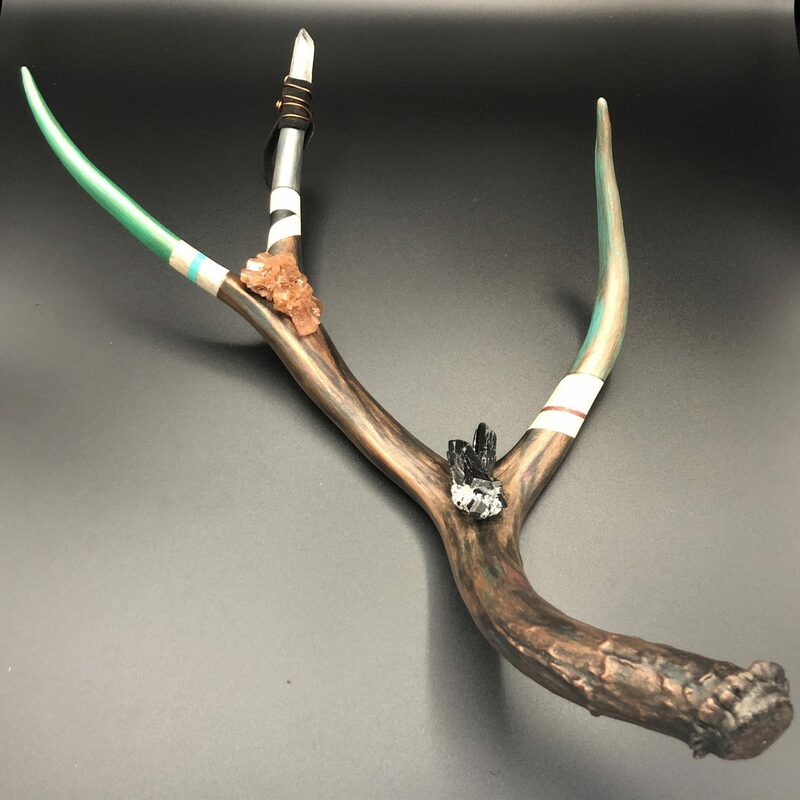 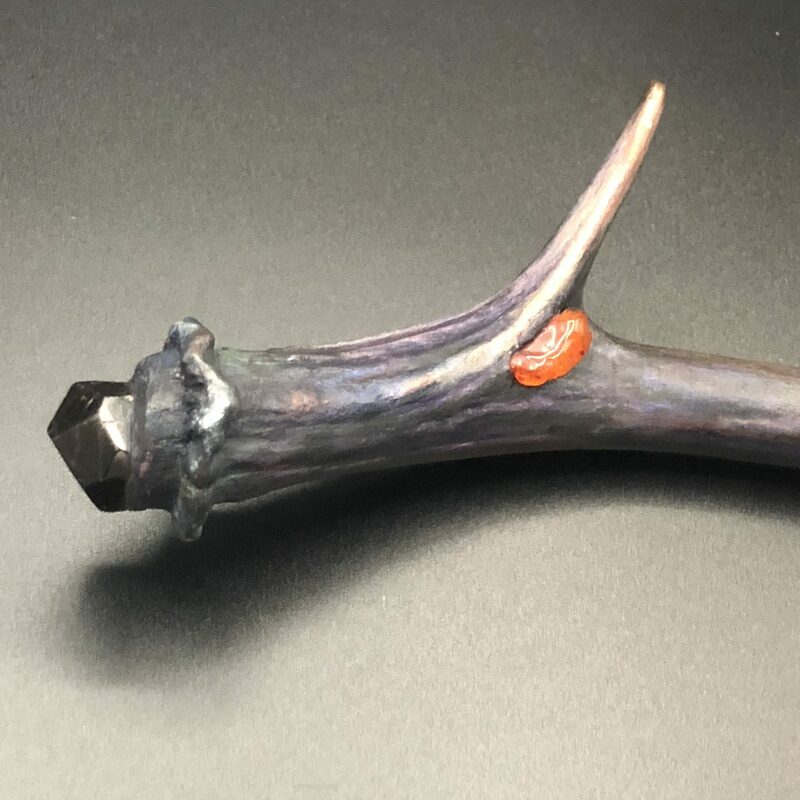 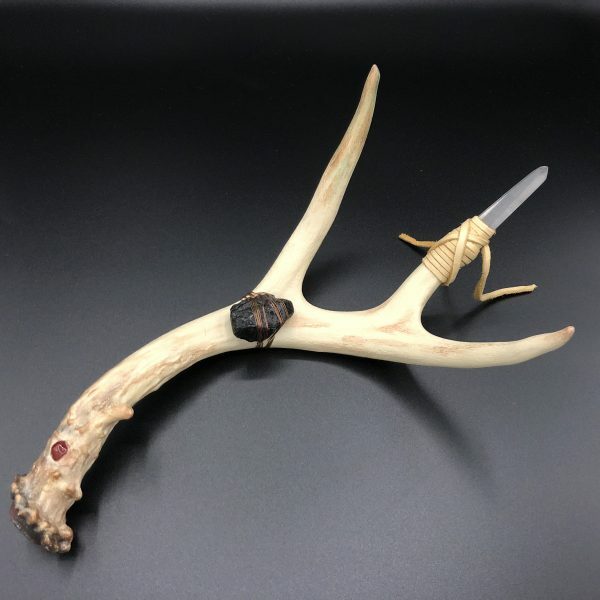 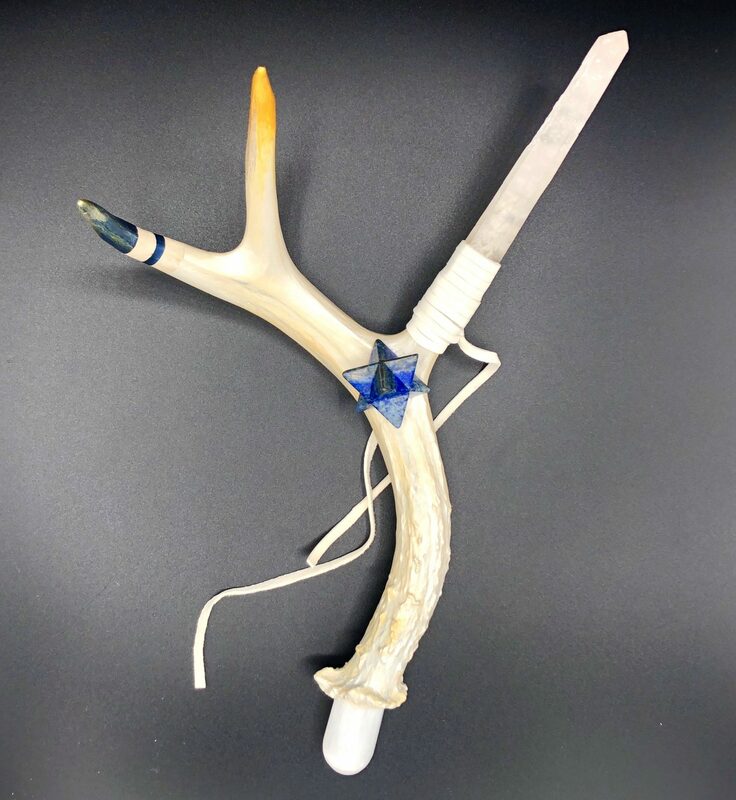 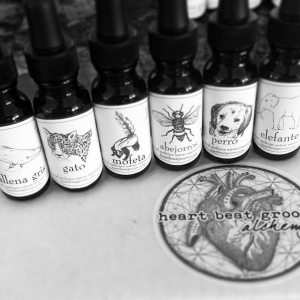 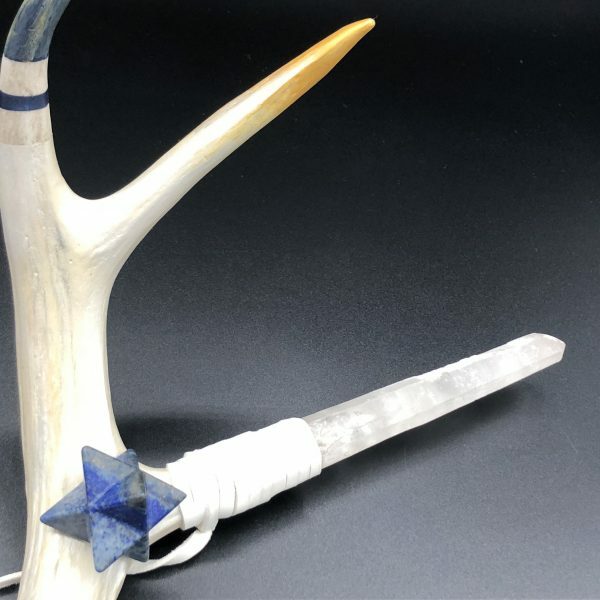 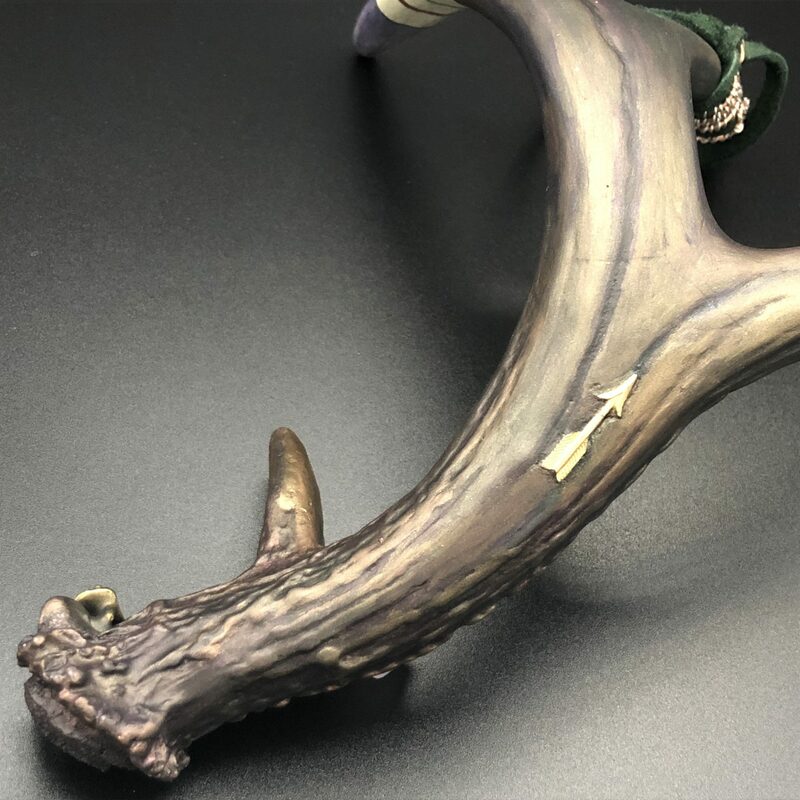 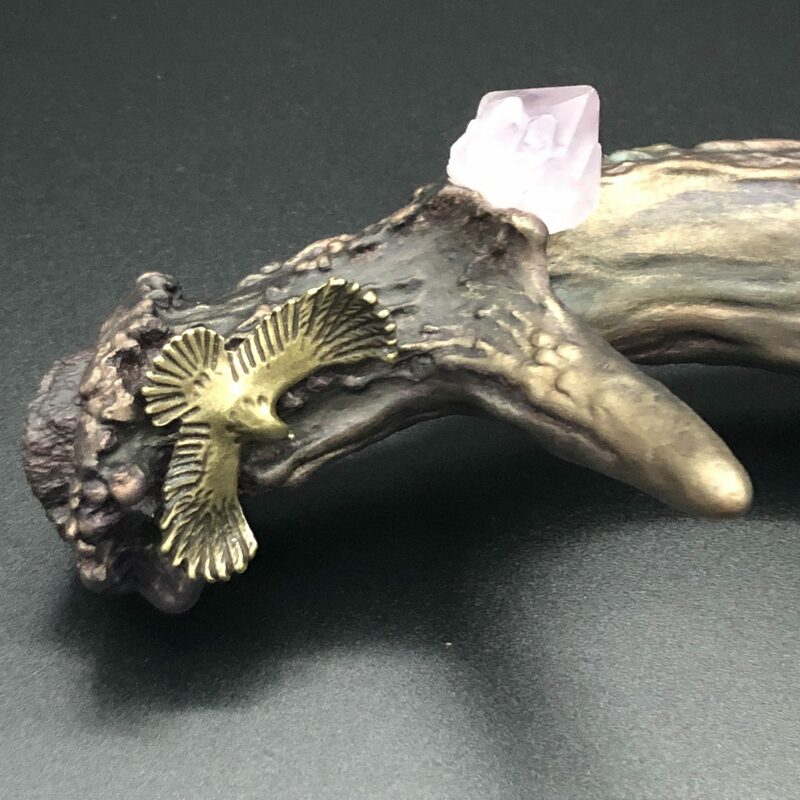 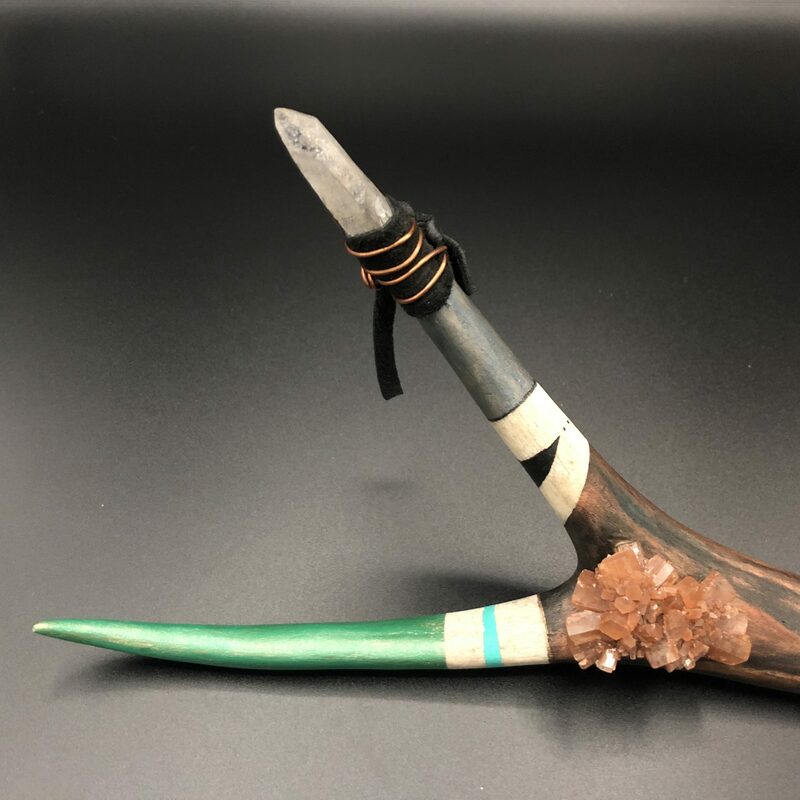 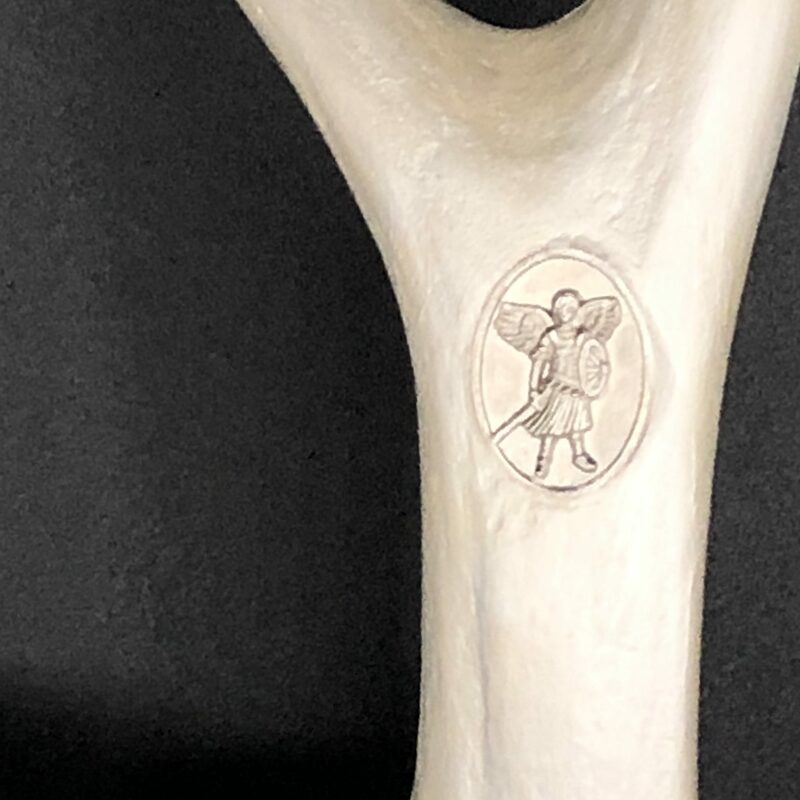 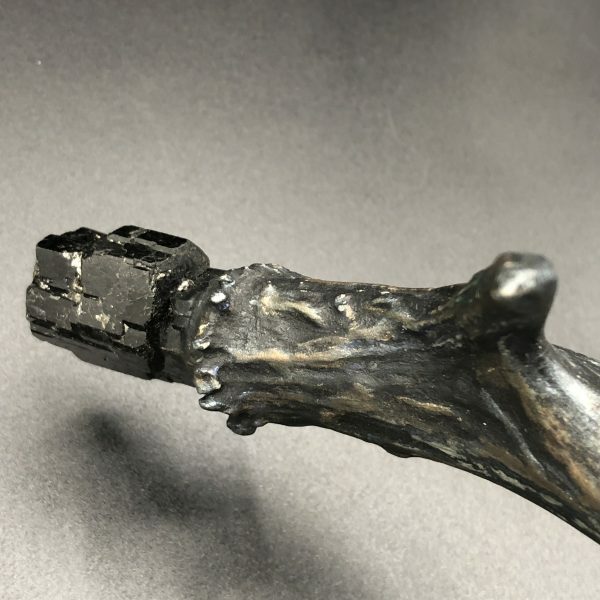 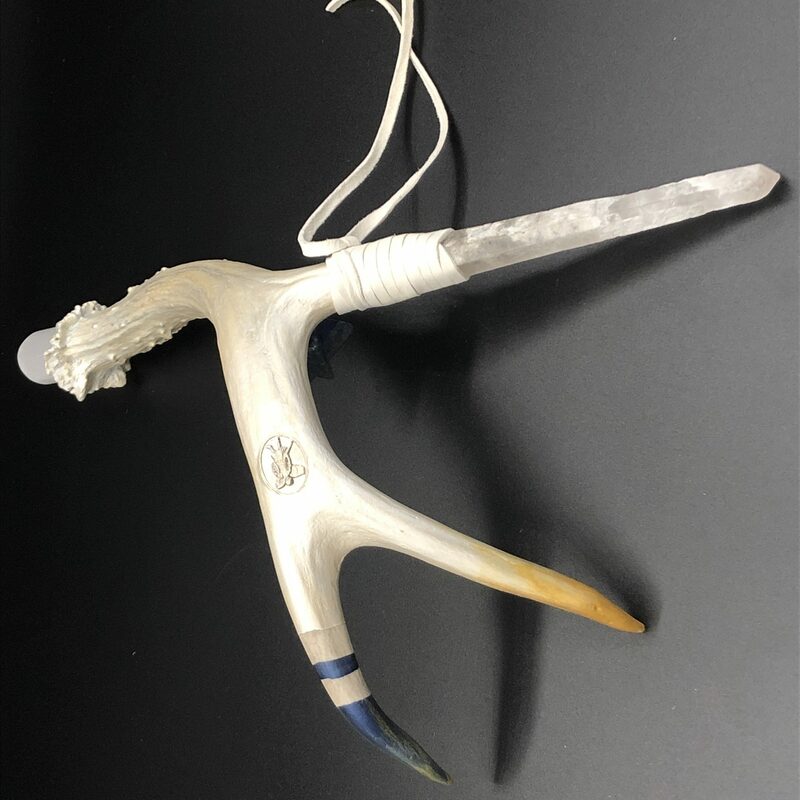 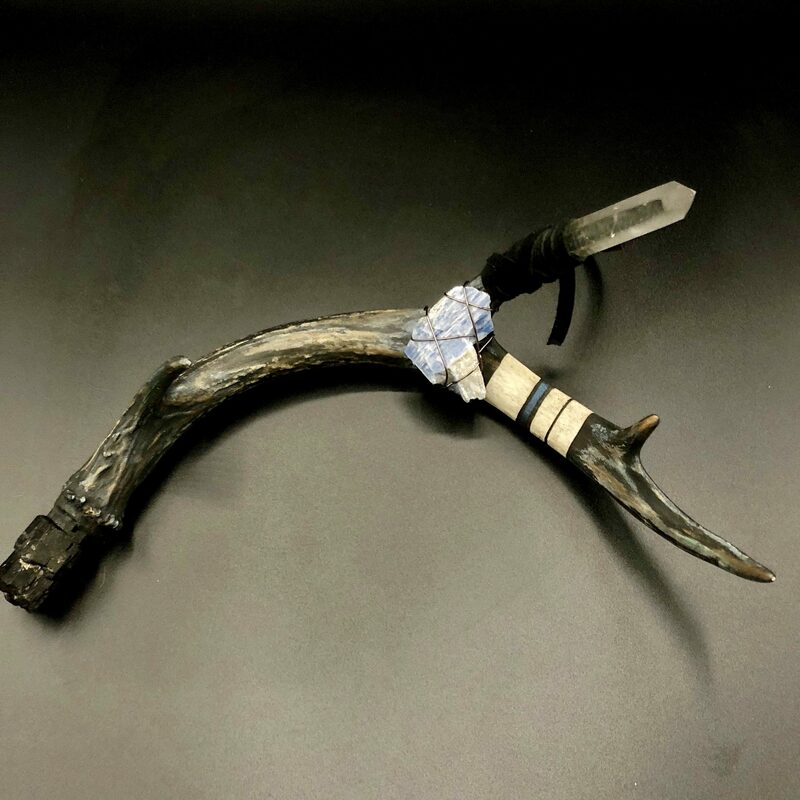 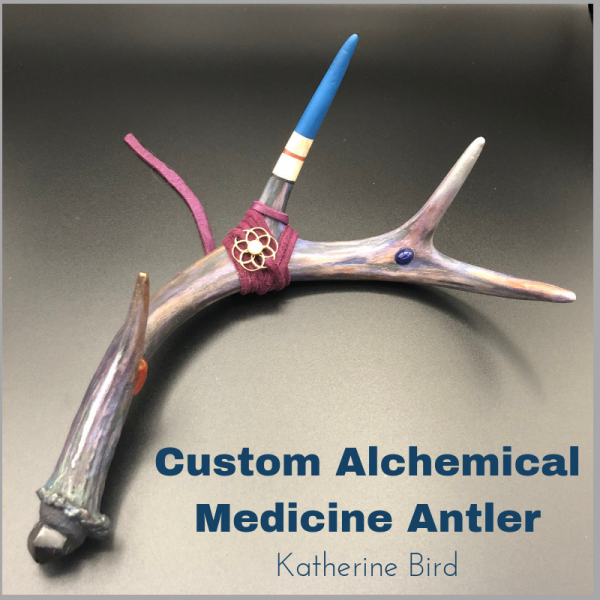 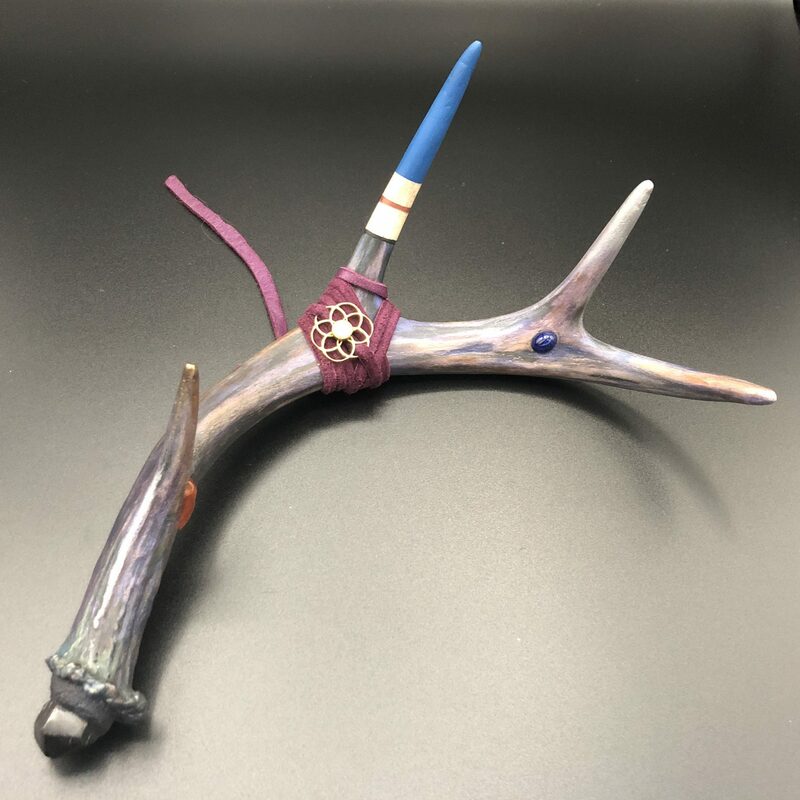 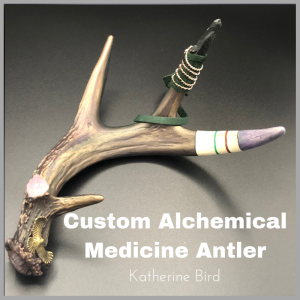 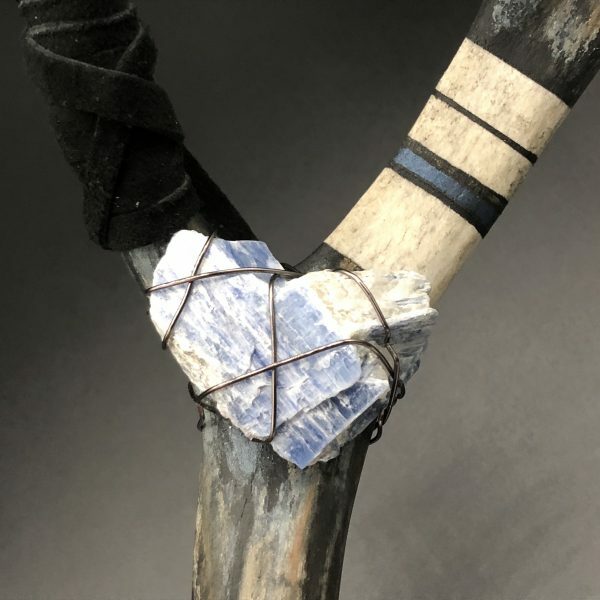 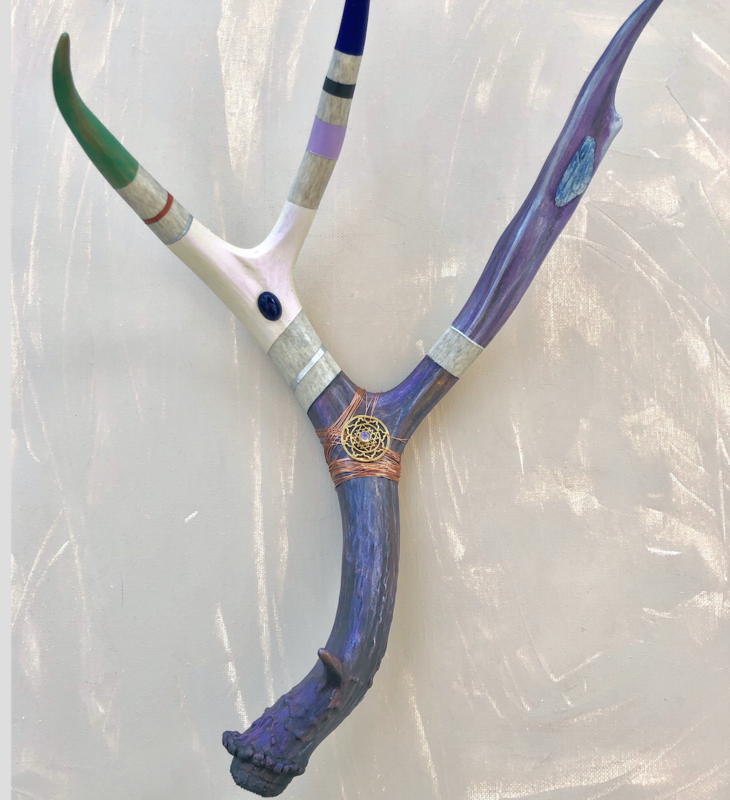 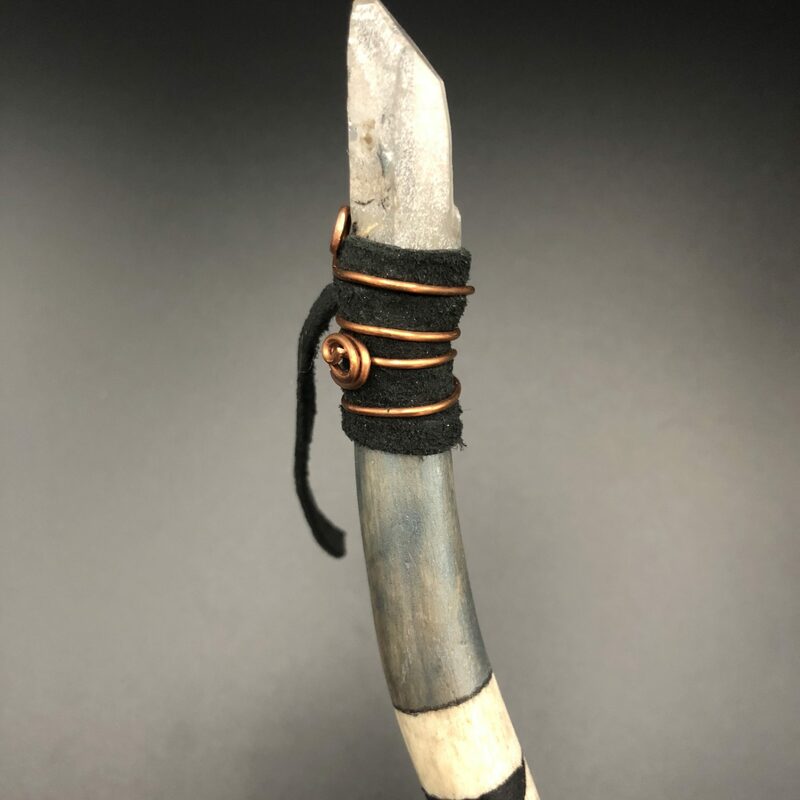 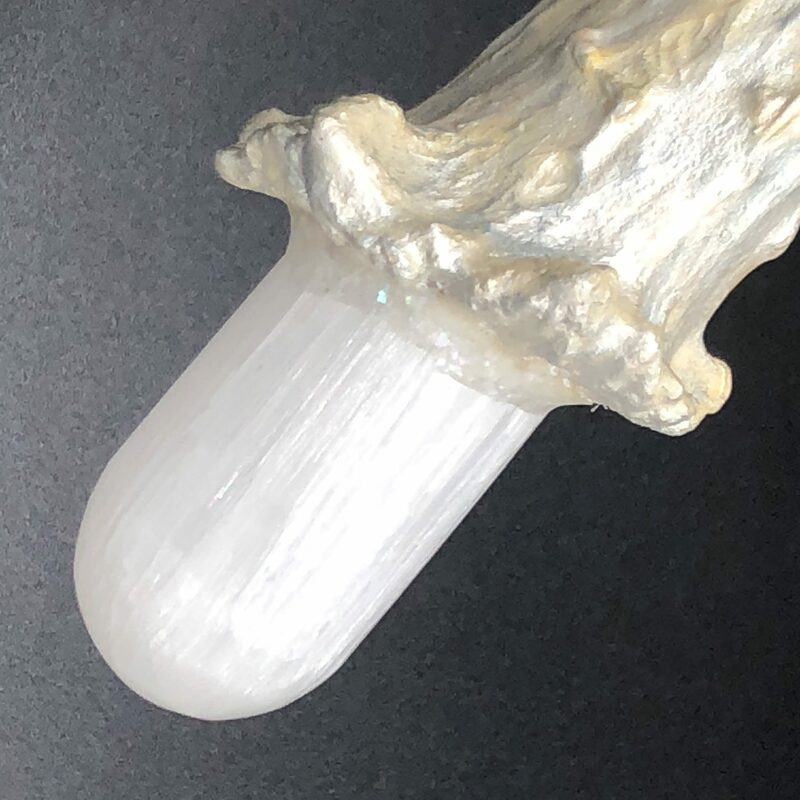 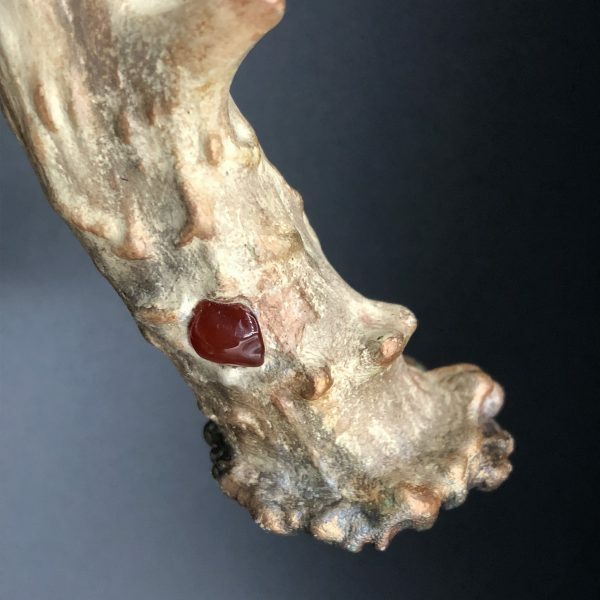 Custom Alchemical Medicine Antler created through Shamanic Channeling, Alchemical Astrology and Ceremonial Activation. Latest piece made for coach activating specific frequencies for her business. 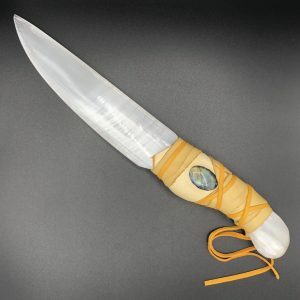 Every color, stone and metal are specifically chosen to bring more power to the individual. 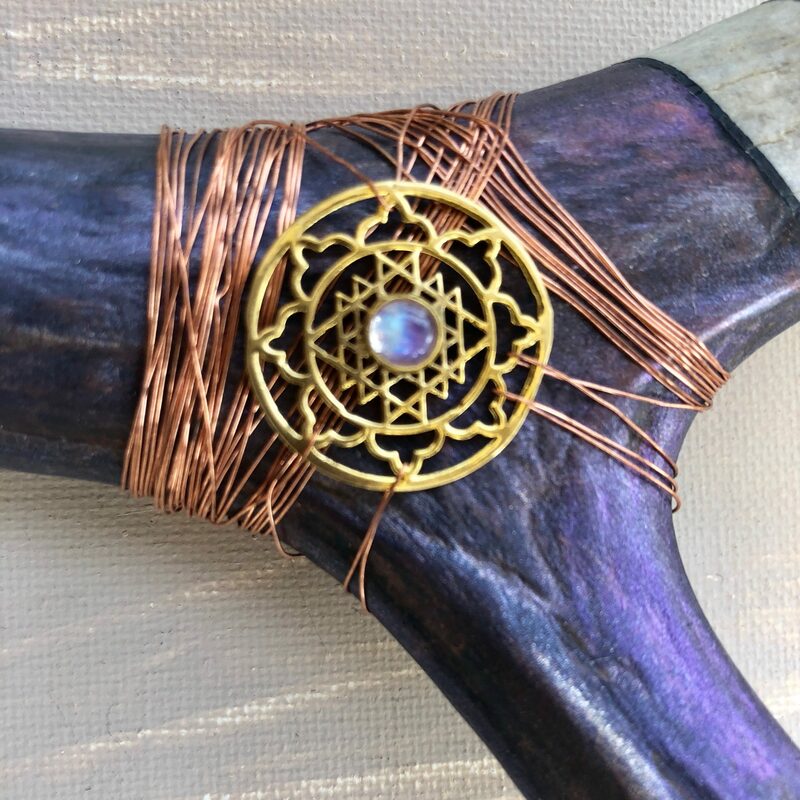 They are only worked with on specific days and times in accordance with the most auspicious times for each person according to planetary rulership of 3 main aspects of being. 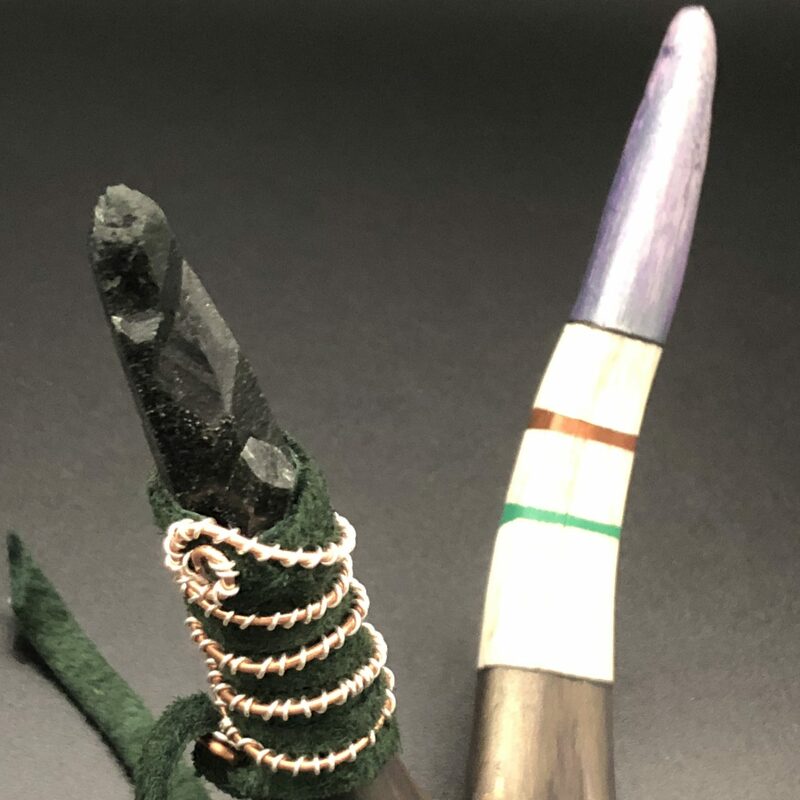 As I am working, they speak to me of how they are to be used. 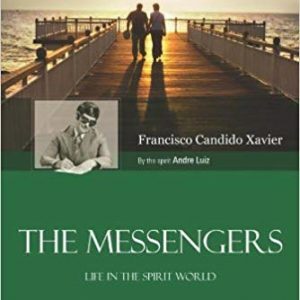 And each one comes with a report of the planets, what they mean and how to use the information for greater health, vitality and power.